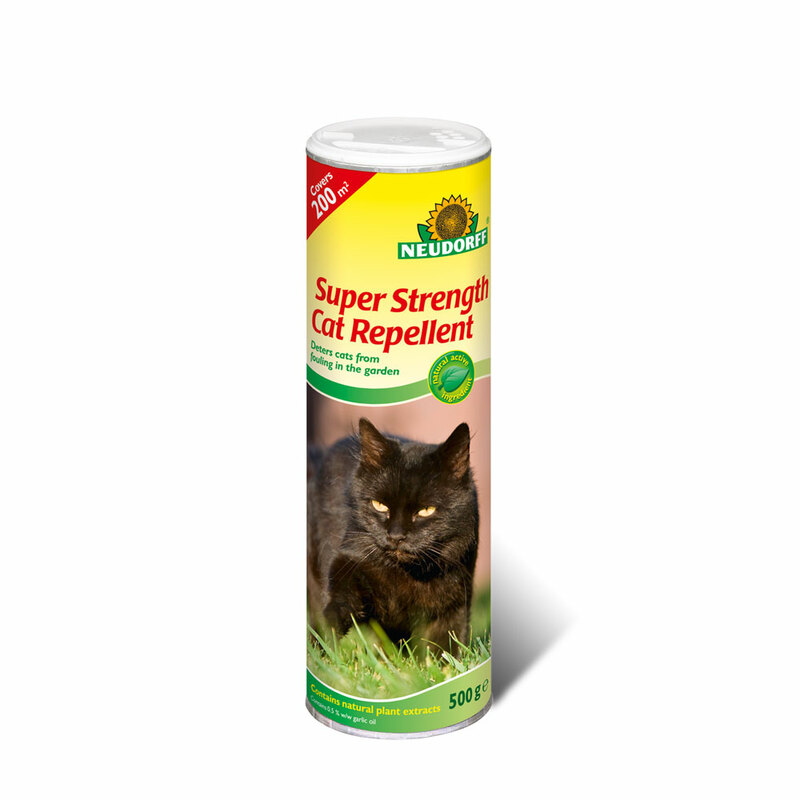 Neudorff Super Strength Cat Repellent 500g shaker scatter granules are suitable to deter cats from fouling your garden area, without the need for harmful chemicals. Formulated using pure plant extracts encapsulated in clay-based mineral granules. Cats find the smell of the natural plant extract unpleasant and it drives them away without causing them – or other animals like birds or dogs – any harm. Contains 0.5 % garlic oil (granulated) long lasting odour, which drives cats away from back yards, terraces and areas where birds frequent. Also covers the territorial odours of other cats and makes the animals avoid the territory to be protected.